Minions Sticker Sheets Party Pack | Minion Shop. 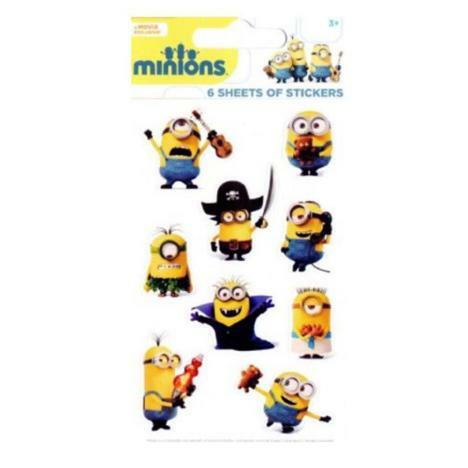 This minions movie party sticker pack contains 6 sheets of stickers, perfect for party bags and treats! Minion Shop is a one stop shop for all things Minions and Despicable Me - stocking only 100% official minions items from Skateboards to Greetings Cards.